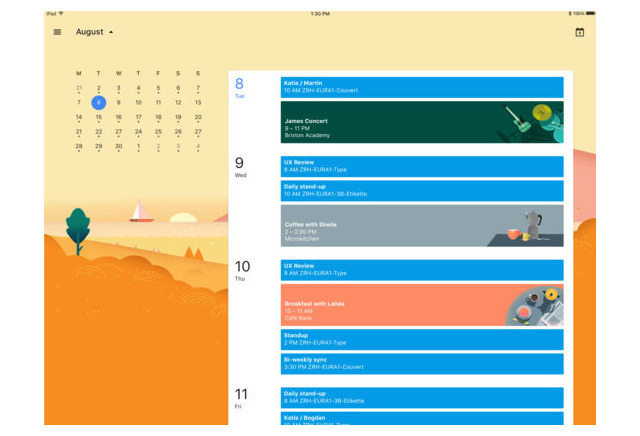 iPad users can now see more Calendar details at once, especially in weekly or monthly views. The sidebar menu conceals less of the screen, and when editing an event, the information appears as a pop-up instead of taking over the entire display. Optional background illustrations frame each view. Features are otherwise largely identical to the iPhone version. Events will appear in Spotlight searches for example, and the app can automatically analyze schedules to squeeze in personal goals, or ideal times and rooms for work meetings. 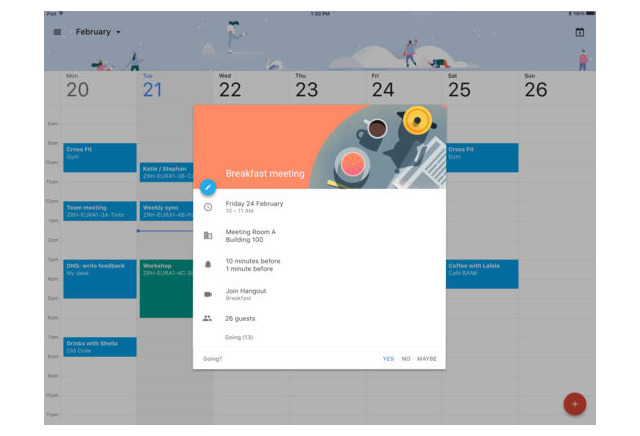 Google noted that it's currently developing more iOS Calendar features, including a Today View widget, which will let people see upcoming events in both the Notification Center and the lockscreen. Google Calendar is a free download, and requires iOS 9 or later.